This month we dive into the local flavors at Big Storm Brewery in Cape Coral. Big Storm’s best seller and year-round available beer is the Palm Bender, an IPA with ABV (Alcohol by Volume) of 7.3% described as a floral, citrus and uncompromising. The appearance of Palm Bender is golden/brown and cloudy. The beer was a medium body and held its foamy head for a couple of minutes. The mouthfeel is crisp and lightly carbonated. Each sip had a sweet bitter bite that became stronger and more apparent the more you enjoyed this refreshing beverage. The smell was mild, but a very pleasant citrus-y, grapefruit aroma. 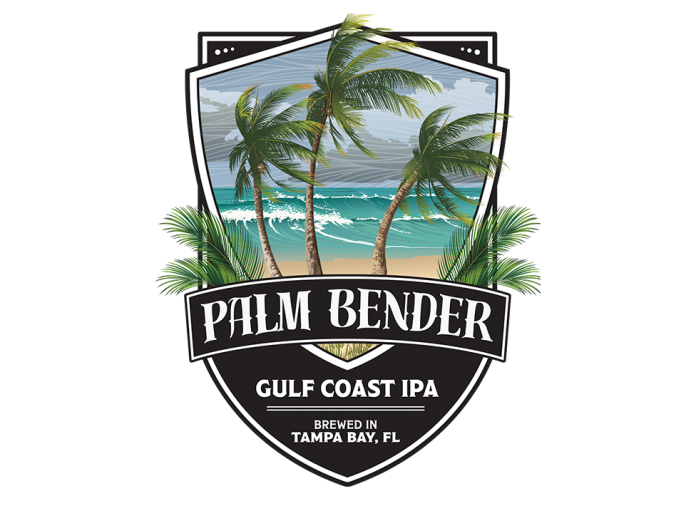 The Palm Bender punches your pallet with a very balanced hoppy and sweet taste. For an IPA, this beer is not as bitter and hoppy as one might expect for a micro-brewery’s IPA. The taste was pleasant, and the beer goes down smooth, leaving a robust flavor resonating in your mouth long after you have finished your sip, encouraging you to continue sipping this strangely unique IPA. Overall a very pleasant local brew with a slow tasteful buildup on your pallet. The flavor rests in your mouth and every sip seems to be better than the last, with the final sip urging you to order another round. In summary, if you’re looking for a balanced IPA with an extra kick (ABV on the higher end), Palm Bender is a solid choice. Per my taste buds, I rate this beer at 3.65 out of 5 (73% out of 100%). Big Storm Cape Coral, Big Storm Pasco in Odessa, and Big Storm Pinellas in Clearwater.